Good news for those trying to lose weight. If you want to lose weight or even maintain it, make oats a part of your diet plan for weight loss. You can replace your dinner with a bowl of hearty oats. You can also have it for breakfast. Oats have the highest amount of soluble fibre. It traps the substances that cause a rise in the cholesterol levels. Eating oats also aids healthy and better digestion. Oats being rich in fibre, helps regulate bowel movements. Oats are also rich in antioxidants. The antioxidants present in oats have anti-inflammatory as well as anti-itching effects. Consuming oats on a regular basis also promises you better skin. 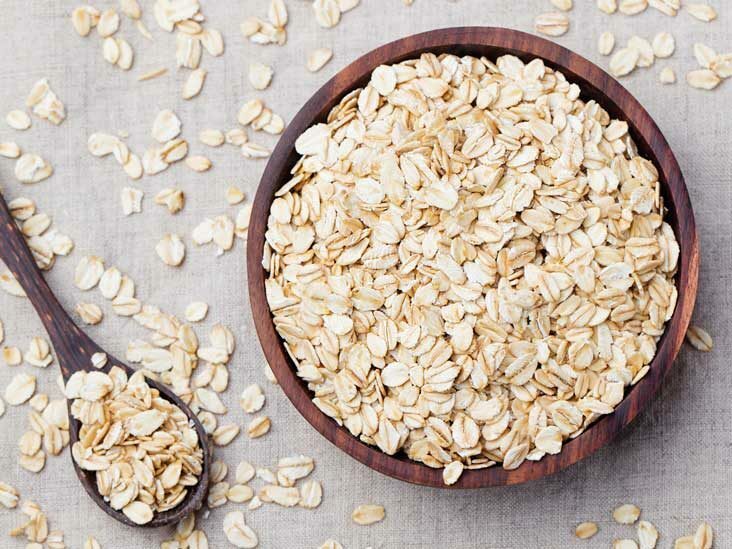 Since it contains antioxidants, oats are great for skin as well. Moreover, oats can also be used externally in various face scrubs or face packs for added benefits for skin. This is one of the best health benefits of eating oats. Oats have a low glycaemic index and hence, are great for people with high blood sugar level. Eat oats regularly to control blood sugar levels. Hence, oats are great to include in diet for diabetes. Consuming oats regularly also has amazing benefits for your hair. Since it contains all the essential nutrients, it can help in combating hair loss. Oats are also good for the overall health of your hair. This is one of the best health benefits of eating oats. Oats are also believed to have benefits against cardiovascular diseases. The dietary fibre in oats helps to lower LDL (bad cholesterol) without disturbing the HDL (good cholesterol). Oats also contain plant lignans which help prevent heart diseases. This is one of the best health benefits of eating oats.